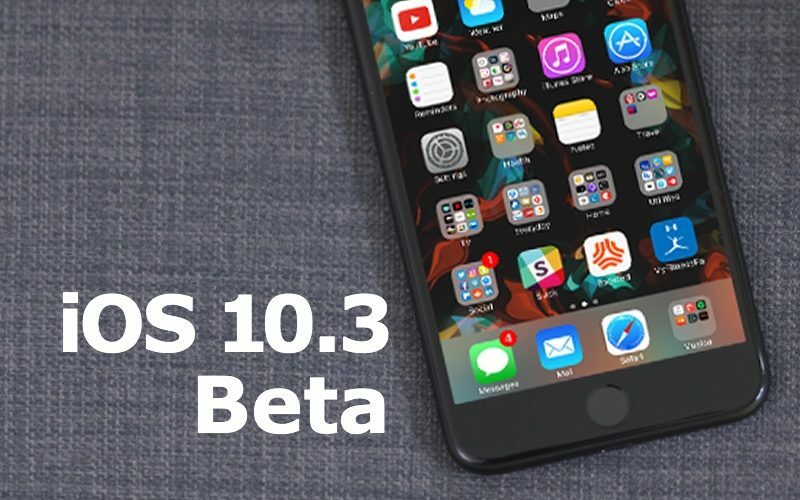 Apple today seeded the first beta of an upcoming iOS 10.3 update to public beta testers for testing purposes, more than a month after releasing iOS 10.2 and two days after providing the iOS 10.3 beta to developers. Beta testers who have signed up for Apple's beta testing program will receive the iOS 10.3 beta update over-the-air after installing the proper certificate on their iOS device. Those who want to be a part of Apple's beta testing program can sign up to participate through the beta testing website, which gives users access to both iOS and macOS Sierra betas. Betas are not stable and include many bugs, so they should be installed on a secondary device. A major 10.x update, iOS 10.3 introduces a new "Find My AirPods" option to help users locate a lost AirPod. Located in the "Find My Friends" app, the Find My AirPods feature marks the last known location where AirPods were connected to an iOS device via Bluetooth and it allows the AirPods to play a sound to make finding them nearby easier. Along with a Find My AirPods feature, the update also includes a shift to Apple File System (APFS). First introduced in 2016, APFS is optimized for Flash/SSD storage and includes strong encryption and other important features. Apple recommends all users make an iCloud backup before installing iOS 10.3, as the update will cause the iPhone's file system to switch over to Apple File System. iOS 10.3 also introduces a tweaked app animation, a new Apple ID profile in the Settings app, a better breakdown on how iCloud storage is being used, SiriKit improvements, new iCloud analytics options, and more. For a full list of what's new in iOS 10.3 beta 1, make sure to check out our dedicated post. And it's faster, reported by others too. Likely the new APFS makes a difference in speed. Seriously though, stuff does seem a little faster. Plenty of people have already been running the beta for a few days now. Aside from Devlopers, who? This is the first release for the Public Beta. What are you trying to say, developers are not people? :) Or there may be a few "people" with the developer profiles installed that are not developers. I mean in theory if that were possible there could be a few. This was faster than I thought it would be released. Running it on my 6s. Didn't break Swype. I do see the slight black screen when an app is opening. App switcher is definitely faster. I think it showing all my devices is pretty cool. I've got to say that I'm impressed with the consistently issue-free conversion to APFS upon upgrade. Located in the 'Find my Friends' app? lol, am I the only one to have to have an issue in settings ? iCloud is not showing up any more. It should be next to iTunes and Wallet. It's just not there. Tried to call Apple, and they were quite thankful that I reported it, but couldn't give me any advice. Any suggestions ? Can you expand on the benefits of this? We use O365 and wondering how this correlates with your comment. If you're using O365 you can now enforce MFA and users can use the built-in mail client in iOS to connect to mail without requiring an app password to connect. You get the native, browser-based experience when adding an EXO account to your iPhone's mail client. Previously, to enforce MFA you'd need to use the Outlook app or you would need to create an app password and put that in as your password when configuring mail.